As an I Am girl ambassador I often feel like I’m supposed to have it all figured out in order to help Every Girl who wants to learn more about being an I Am girl and living her super powers. 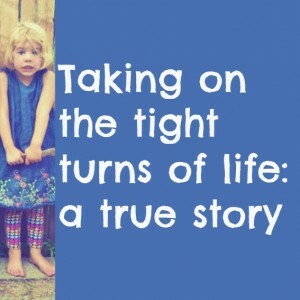 Life takes many turns and some of them are tight, uncomfortable, and downright scary. I’ve had a lot of these tight turns recently and sometimes I don’t feel like I’m navigating the steering wheel very well. I’ve been pretty focused on where I’m failing in life. Letting others down, retreating to my bedroom and hiding, taking much of what’s happened personally and feeding my negative thinking with unhealthy soothing practices. I identify these as eating food to calm my troubles, escaping from them with my television, and feeling sorry for myself. My goal with the I Am Initiative is empowerment and guiding the super powers that live within Every Girl. So what happens when this Every Girl feels her own super powers fizzling? Hmm, it’s a great question that I’m working on right now. I don’t have it figured out yet but this is what I’m doing: true story. 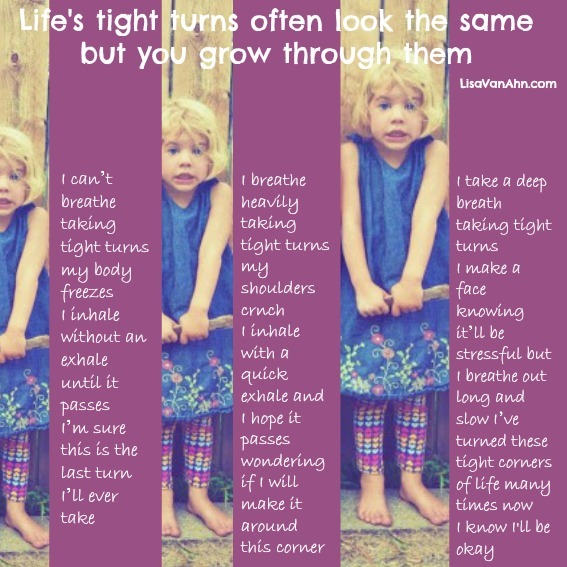 Life has highs. Lows. Dips. Curves. Mountains. Valleys. Many of them. When I hit so many tight turns like I have lately, I’m remembering that the last time I went through this it felt different. Like, a little scarier. Daunting. Impossible. Overwhelming. I am remembering not to bring it back to life, but to help me gauge the growth I’ve made over the years. While these tight turns feel the same, I’m handling them differently with tools that I didn’t have before. Plus, since I’ve navigated these kinds of turns before I have more confidence I can do it again, successfully. I want my I Am girl to live loud and proud. I would love to wake up each day ready to tackle the world without any worries or anxieties. But every I Am girl has her own Kyrptonite just like Superman. When encountering difficult scenarios it isn’t easy to live your I Am super powers and trying to fight it can make you weaker. Sometimes it’s necassary to feel fear, sadness, anger, and disempowerment. I realize that the best way back to living my I Am girl is to acknowledge the negative feelings I have so that I can work through them rather than ignoring and pushing them down. One of my favorite super heroines of all time is Buffy the Vampire Slayer. What I love about her story is the reluctant acceptance of her destiny as “the chosen one” and then her struggle with it through out the entire series of the show. She was doing her best. And she couldn’t have done it without her friends who weren’t bestowed with the same powers but helped her succeed. During these tight turns I am doing my best. Sometimes I want to tackle it all by myself but I know that my friends and family are a big support and calling on them is helpful to me in getting through the hard stuff. Like Buffy, I’m reluctant to take on my destiny. I want to empower you and help you live your I Am super powers, but I often feel inadequate and unworthy for the task at hand. In the essence of Buffy, I can see that doing my best and calling on the assistance of those I love will give me the tools I need to tackle vampires (negative thoughts) one at a time, and help me overcome darkness and be positive change in the world. I want you to be empowered and live your super powers, and I also want you to know that’s exactly what I’m working towards everyday too. It isn’t always easy. “With great power comes great responsibility”. To run from the truth is to ignore the truth. And I want you, as a becoming I Am girl, to know that true life isn’t always easy. Often you’ll need to navigate tight turns. I know you can do it! I can too. Xoxo, E.G.